In BOO… battery operates YOU! 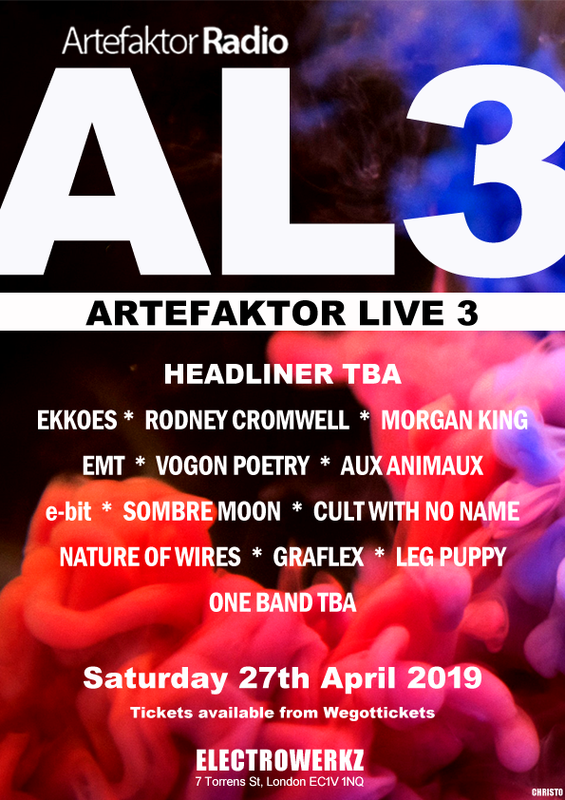 Hailing from the Sussex coast, the duo of BOO – Battery Operated Orchestra – has charmed electronic music enthusiasts since 2010. Consisting of Chris Black and Brigitte Rose, BOO was the logical follow-on from Black’s previous venture in Katsen (a wonderful electropop project that sadly failed to break escape velocity). BOO dabble around in the use of traditional electronic music with a particular love for analogue synths. The result is a lush, warm sound that flirts with elements of unashamed pop. 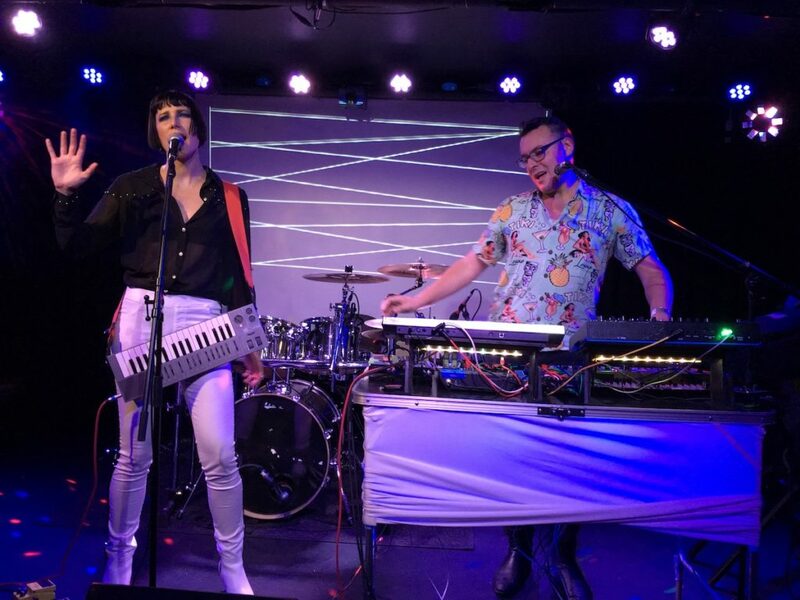 Yet, surprisingly, the duo never come across as a band simply xeroxing the synthpop of old. Here the sound is that of a contemporary electronic band – and one at the height of their powers. Over the years, BOO have chalked up a catalogue of accessible electropop songs. Tunes such as the starkly beautiful ‘Diamond Feelings’ and the pure euphoric ‘Radiation‘ demonstrated that BOO had a talent for evocative, heartfelt music that still had a raw, garage electro element to it. The DIY aesthetic is a strong component of BOO’s output, something which is also evident in the lovingly handcrafted sleeves that copies of Snare come in. In fact the sleeve for Snare hides a hidden code (naturally inspired by the likes of one-time pads and number stations), giving listeners an entertaining side activity to pursue while giving the album a spin (apparently some shrewd BOO fan has already cracked the code in case anyone is wondering!). The album opens with the curiously gossamer synth tones of ‘Strange Goodbye’. Brigitte Rose’s vocals have a whispery charm here that’s given a solid foundation by the bass-heavy electronics underpinning it. Squelchy synths are the order of the day on ‘Sweet Dreams’ with its saccharin lyrics of paranoia and control (“You know you’re free to be/anything we’ve made you want to be”). There’s a sinister creep to the electronics here, which still exude a beguiling nature. Thoughts on relationships and communication are part of the bassy goodness on the excellent ‘Perfect Wreck’ (“thought you were human/but you’re cracked”). But compositions such as the wistful ‘Nocturn’ offer up more subtle moods. Equally, the sepulchral ‘Optical’ has a mesmerising quality built up through carefully layered synths. BOO also show their playful side on the delightful ‘Charismatic Megafauna’ with its garage punk aesthetic and nods to the likes of Devo. Urgent electronics drive the tune forward while Rose delivers a dry vocal. There’s more of a dreampop element on ‘Bella’ (with the emphasis on ‘pop’). It’s a wonderfully lush composition with some engaging melodic sweeps and some evocative visual imagery (“Burn our schoolbooks on the beach/we see the future in the flames”). In keeping with the album’s themes, there’s also a suitably noir element to the icy pop of ‘Under The River’. Meanwhile, the machine-like rhythms of ‘A Clearing’ pose pertinent questions (“When did you stop dreaming?”). Snare closes with the instrumental ambience of ‘Borders (Fall)’, an understated slice of electronica which seems totally at odds with the rest of the material on Snare, yet bookends the album with charm. On their latest outing, BOO have demonstrated that their talent for composition, melodies and ideas is far from exhausted. 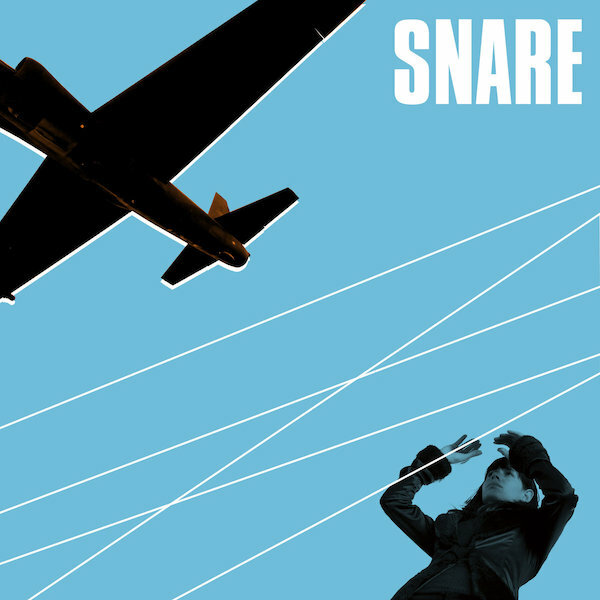 Snare is a stunning piece of work that doesn’t require a lot of codebreaking skills to appreciate. BOO perform live on 12th October Brighton Electric and 26th October Lewes Con Club. See the TEC Calendar for more details.